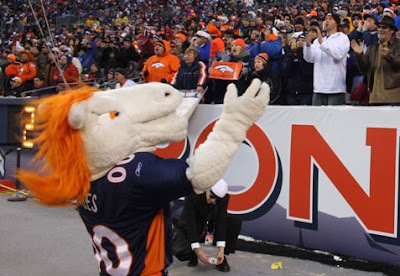 From live mascots to the Huddles of the '80s to the 26 mascots from 32 teams today, the NFL has long been friendly towards the furry. 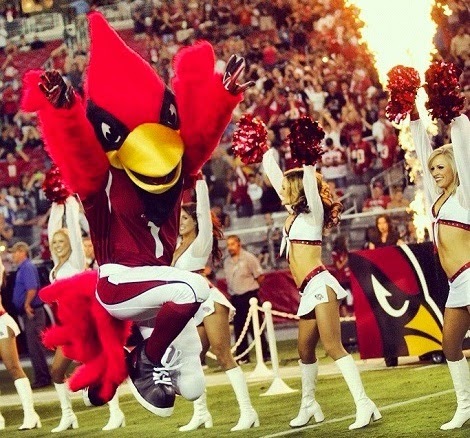 Sport's Opinion: "Cardinals aren't predatory birds, but Big Red looks awful scary. Between his angry eyes, pointy head and beak, the only bird-watching I'll be doing is from a safe distance. He may be named after a soft drink, but there's nothing sweet about him." Sport's Opinion: "I know he's a falcon, but Freddie looks like he could be the son of Miss Finch from 'Sesame Street.' But at least Freddie didn't leave for Hollywood. I used to think the soap opera 'Falcon Crest' was about his team!" Sport's Opinion: "For being named after a scary poem, he seems very friendly. 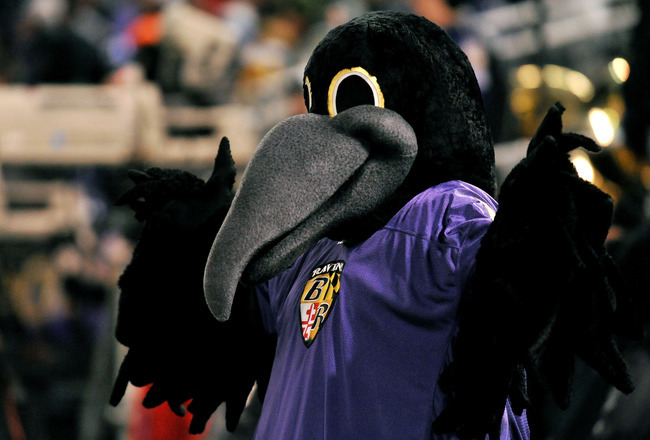 And maybe he knows why a raven is like a writing desk." 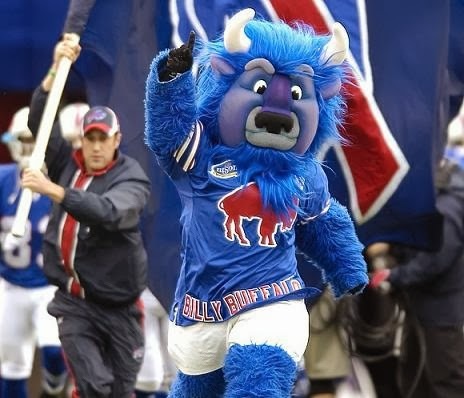 Sport's Opinion: "He's obviously had his hair dyed, because I have never met a blue buffalo before. But I would not want to get in his way. Just look at those horns! And can you believe that Billy actually likes to eat buffalo wings?!" 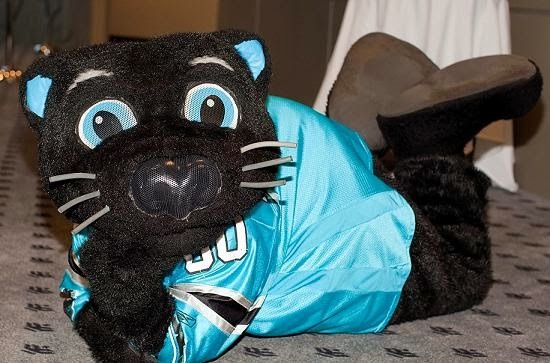 Sport's Opinion: "Sir Purr may be a panther, but he's as friendly and playful as a kitten. And he must have been knighted, since he goes by Sir. I guess that means he's a royal cat!" Sport's Opinion: "Picnic baskets? Honey? What is in Staley's belly? 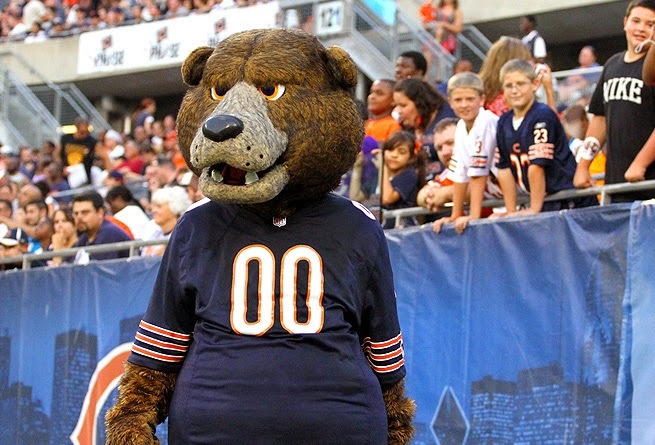 It looks like he needs to go on a diet, except he's too scary-looking to tell him." 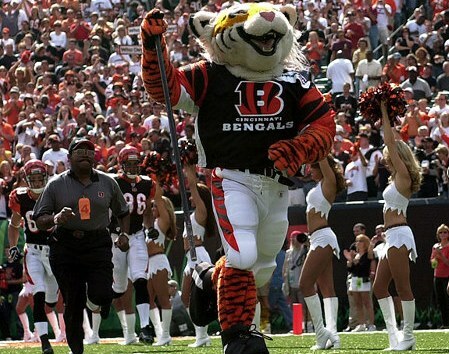 Sport's Opinion: "Who Dey may be smiling, but I'm running the other way if this mascot starts coming towards me. 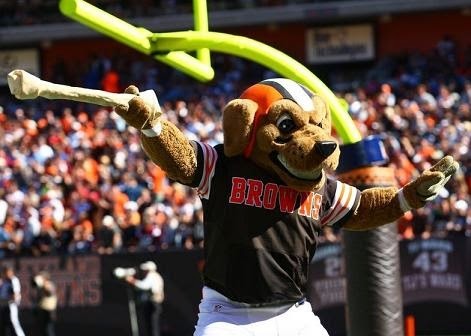 He got his name from the cheer "Who dey think gonna beat them Bengals?" 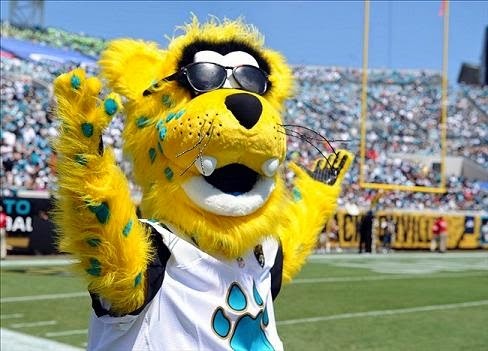 But I say, 'Who dey think gonna eat me?'" Sport's Opinion: "Chomps is bad to the bone! He has angry eyebrows, angry teeth and even eyeblack. But the surest sign of his toughness is that he's playing football without a facemask!" 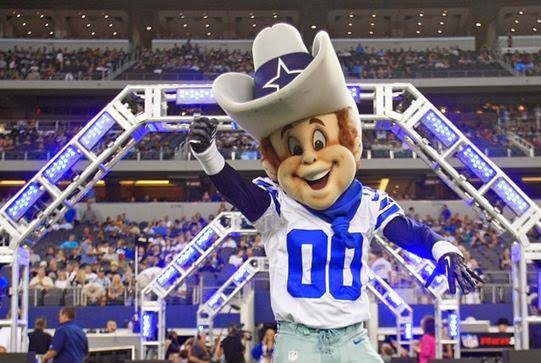 Sport's Opinion: "That is one big hat Rowdy is wearing. He must get plenty of compliments for it, since he's always smiling. I wonder if he's one of Hank Williams, Jr.'s 'rowdy' friends he sings about." Sport's Opinion: "His orange hair and orange eyes make him kinda scary looking. Although, being a white horse, I bet the Lone Ranger would use him as a replacement if Silver ever retired." Sport's Opinion: "Roary is a lot more scary looking than the Cowardly Lion, so I don't know if Dorothy would have befriended him. 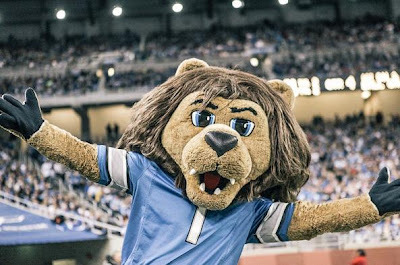 But Roary sure does have a nice head of hair." 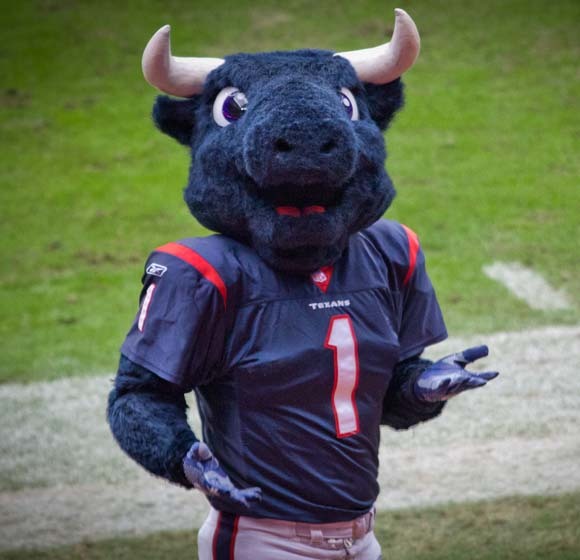 Sport's Opinion: "Toro is a nice bull. He's always smiling, even though he's a little bit cross-eyed. I would imagine the only fighting this bull does is with his hair dye. That blue color can't be natural." Sport's Opinion: "I'm not sure he can see straight, since he's cross-eyed, but Blue doesn't act blue. In fact, he should change his jersey number from 00 to 65, in honor of Eiffel 65's song, 'Blue.'" Sport's Opinion: "For a normally scary animal, Jaxson doesn't look like he could eat much meat with just two teeth. He may have to gum most of his food, but with his shades on, he looks like one cool cat." 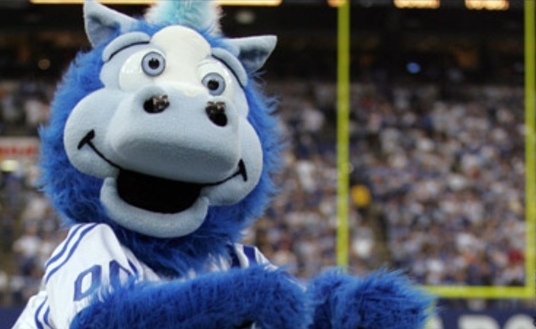 Sport's Opinion: "Why is the Chiefs mascot a wolf? K.C. was actually named after a group of fans known as the Wolfpack. So did all of those fans have crossed eyes too?" 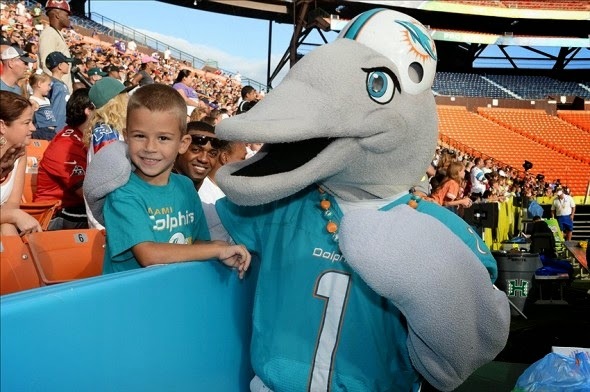 Sport's Opinion: "The Dolphins used to have a live mascot named Flipper, and the famous pet detective, Ace Ventura, helped rescue another live dolphin, Snowflake. I bet T.D., Flipper and Snowflake all get jealous of each other." 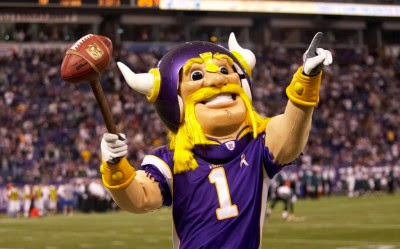 Sport's Opinion: "I'm not sure if all Vikings are related, but I wonder if Viktor used to live with the Capital One clan. Maybe he still visits them in the offseason." Sport's Opinion: "Pat may be smiling, but he has some crazy eyebrows. 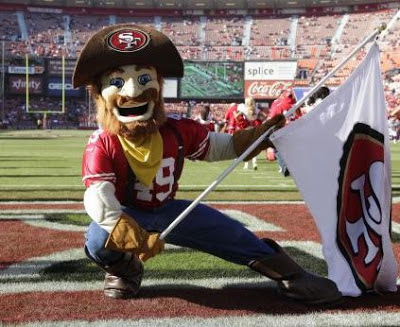 I don't know if I would trust him with a musket in his hands. Pat also has a really big chin." 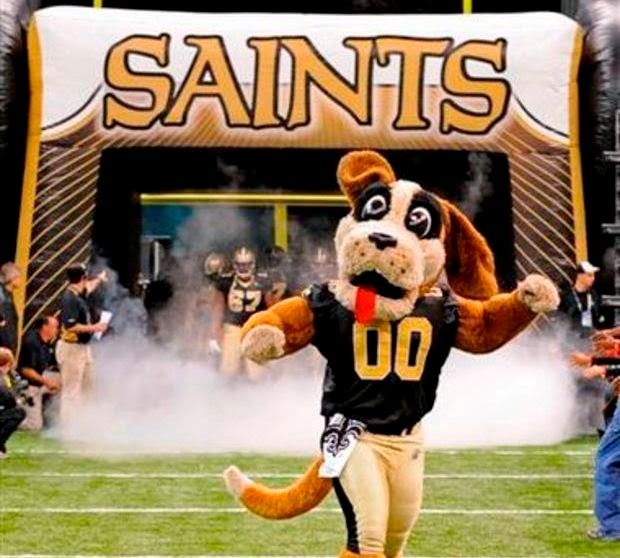 Sport's Opinion: "Gumbo is a St. Bernard, which are known for being rescue dogs. 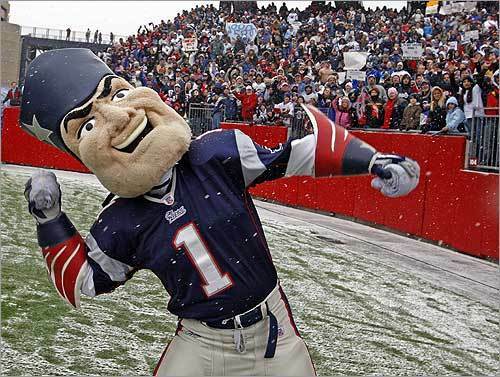 But he could be a real saint by bringing all the fans bowls of spicy gumbo!" Sport's Opinion: "Is Swoop a member of the Hair Club for Eagles? If not, he should since he's bald. But I would never tell him that to his face. 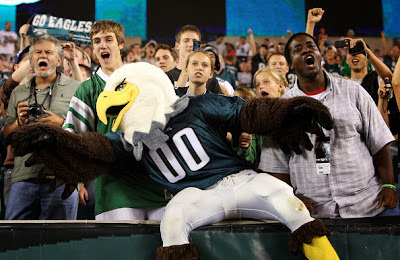 He's just plain scary, sort of like Eagles fans!" 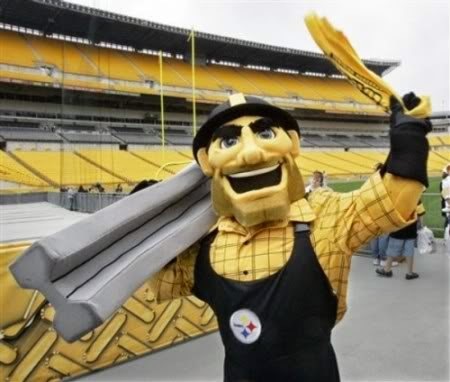 Sport's Opinion: "With his hard hat, overalls, chiseled chin, 5 o'clock shadow, Steely could probably show up at a construction site and blend right in. I bet he brings a lunch pail to work everyday." Sport's Opinion: "Look at his horns! I would not want to get in his way. 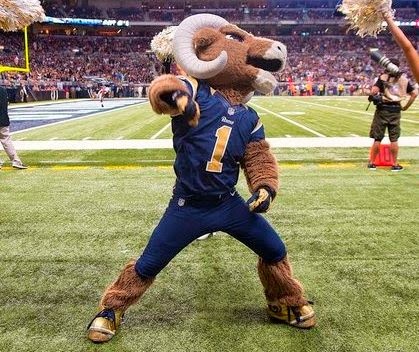 Although I bet Rampage likes hearing Sam Elliott say his name in commercials for Dodge Ram." Sport's Opinion: "Just hearing his name makes me want a sandwich. I think he and Yukon Cornelius would be good friends." 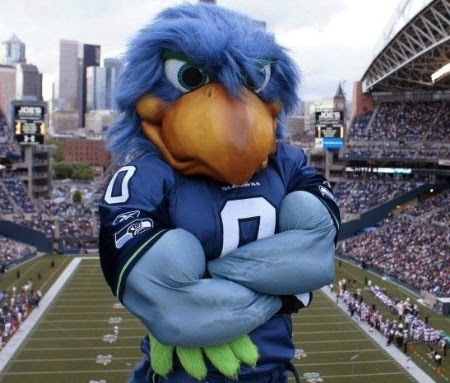 Sport's Opinion: "Unlike the other bird mascots in the NFL, Blitz seems to have more muscles than feathers. I'm terrified of him, and I'm not even a fish!" Sport's Opinion: "Look at his sword! 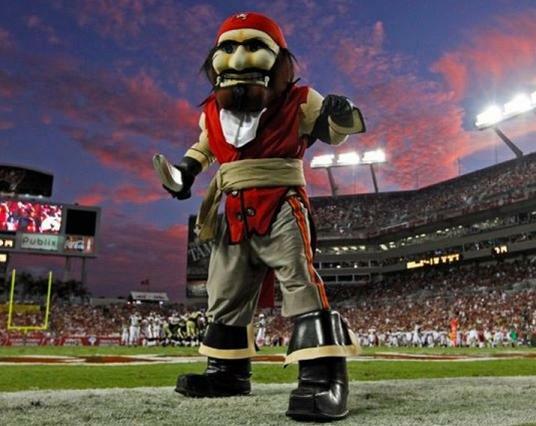 I've seen 'Pirates of the Caribbean,' so I know buccaneers are not to be messed with. I'm a land-lover, so I'm steering clear of Captain Fear!" 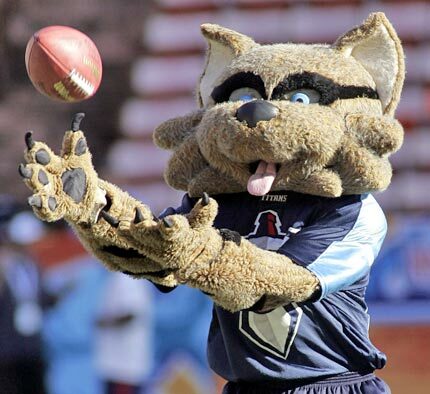 Sport's Opinion: "Raccoons don't have anything to do with titans, so why is T-Rac their mascot? Raccoons are actually the state animal of Tennessee!"